If you need a good shaver, you probably become overwhelmed with how many choices there are to decide between. There are many shavers that are worth your time and money, but you might be wondering what a foil shaver is and whether or not it’s just a gimmick. The truth is that foil shavers are great evolutions of the electric shaver model. Foil shavers can help cut thicker beards more effectively or maintain beards of a specific length more easily than shavers that lack a good foil. Don’t worry; there’s no need to worry about finding the best foil shavers amidst all the others. We’ve already done that! We’ve taken care of all the research and picked out the best foil shavers on the market. In this guide, will explain exactly what makes a good foil shaver and showcase our favorite. Portable, Compact, and Cheap, twist cap included. Before we get into the details surrounding our favorite foil shavers, there are a few quick things you should know about when selecting your own favorite. 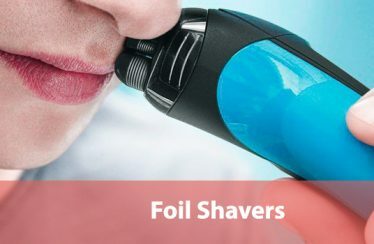 Foils: Foils are a special layer of metallic material added on top of the shaver blades which act as nets to catch your hair as you move the shaver along your face. Once your hairs are caught in the foil net, they’ll be stretched out and easier to cut. This is why foil shavers are so effective at cutting coarse beards. Of the types of foils you’ll find, ARC foils are among the best. 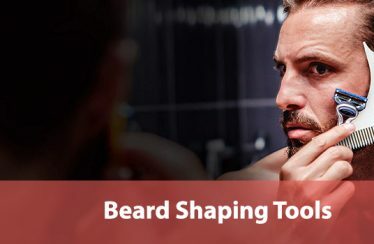 Pop-Up Trimmer: A lot of the best shavers come equipped with a pop-up trimmer that can handle your sideburns or help to contour or sculpt the shape of your beard. Always look for a shaver that includes a nice pop-up trimmer if you want to tool that can handle most of your facial hair needs. Since this is standard with most modern shavers, you shouldn’t have too much trouble finding a model that’s both affordable and it also has a trimmer. Waterproof: Waterproofing is a great feature for a shaver to have because it both protects the shaver when you wash it after every shave and because you can take it with you into the shower to shave right under a stream of hot water. This is an ideal place to shave because hot water opens your pores and allows your hair to be cut more effectively. You’ll find that you have to shave less frequently if you shave while your face has been exposed to hot water. Battery Life: It’s critical that you find the shaver with good battery life because this directly affects how long you can wait between shaving sessions and when you need to recharge. Of course, you should always plug your shaver and when you’re not using it but good battery life can insulate you from a disaster moment when you need to shave immediately but forgot to charge. If you’re planning on taking your shaver with you to travel, good battery life is essential for obvious reasons. Let’s dive in with a quick overview of each shaver’s most basic features. 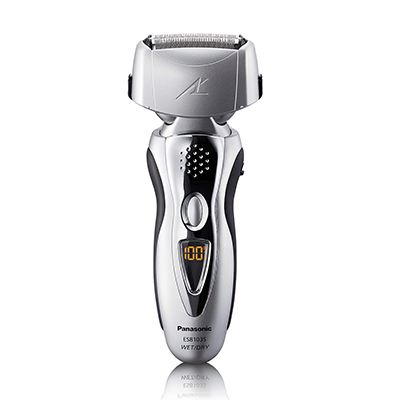 The Panasonic Arc4 Shaver and Trimmer is a 2-in-1 model that comes with a pop-up trimmer that can allow you to detail your beard, mustache, or touch up your sideburns with a minimum of hassle. 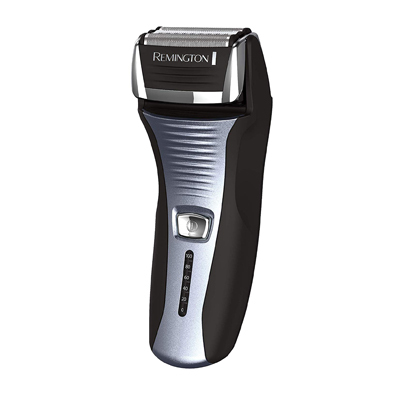 This trimmer is aided by an excellent main shaving head. The shaver comes with four ultra-sharp blades that make good use of its pivoting head, which can flex in multiple directions. The blades work in tandem with an ultrathin ARC foil. The foil essentially traps all of the hairs and makes them stick up in as straight a direction as possible before they are cut. The net benefit is that you will not have to shave as often since your shaves will be extremely close. On the other hand, if you don’t want a clean shave, you can rest assured that the foil will help you maintain a beard of whatever thickness you desire. This is doubly possible because of the shaving density sensor added to the shaver. This sensor can tell the actual thickness of your beard and adjust the height of the foil to adapt as you move the shaver across your face. 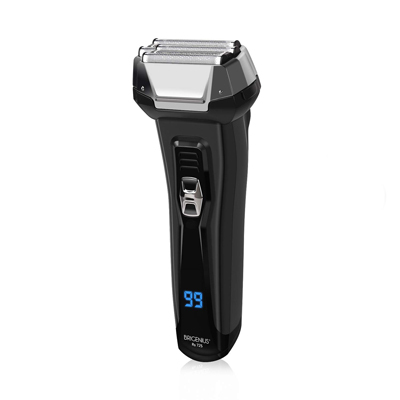 The shaver also comes with a great, ergonomic handle and an LCD screen that can tell you how much battery life you have left. The battery life is a few minutes less than models of similar price and effectiveness, but this is such a minor nitpick that we don’t think it truly lowers the overall quality of the shaver. The Panasonic Arc3 Shaver and Trimmer is very similar to the last one we reviewed and is essentially a cheaper version with many of the same excellent features. These features include the pop-up trimmer, for one, which is just as effective as the pop-up trimmer on the Arc4. The pivoting head is just as flexible, although this shaver comes with three blades instead of four. Like its cousin, it’s waterproof and has a comfortable ergonomic handle. The LCD screen on this shaver is a little bit more aesthetically pleasing and doesn’t take up as much space on the handle, which we really appreciate. The battery life is a few minutes shy of the standard for shapers of this size and price range, although this battery maintains peak motor power for the shaver all the way up to the end of its lifespan. This can come in handy if you haven’t charged in a while and need to squeeze in a quick shave and don’t have time to recharge it. The ARC foil for the shaver works just as well as the foil for the Arc4, and you get really similar results for a much more reasonable price. The largest difference between the Arc3 and the Arc4 is the additional blade that’s present on the Arc4. This blade will allow you to get a slightly closer shave than the Arc3, but if price is more of a sticking point for you, you can easily settle for the shaver for virtually identical results. The Remington F5-5800 Foil Shaver is a great example of a more minimalist model that doesn’t have quite as many bells and whistles as the more premium shavers on the market. That being said, it’s a very reliable tool that delivers great results with its flexible foil that moves to follow the contours of your jaw and facial structure. This ensures that the foil captures facial hair with ease and regularity. The blades beneath the foil have a special interception shaving design that makes them pre-trim the longer hairs of your face. This can be of great help if you have coarse hair or if you find that your facial hair often takes a few passes to accurately cut. The shaver is equipped with a pop-up trimmer just like the kinds on many premium shaver models. This is perfect for touching up sideburns or getting the corners of your jaw, which are common trouble spots. This shaver is not totally waterproof, unfortunately, although it is easy to clean the head directly beneath a faucet. The biggest downside is that you can take this shaver into the shower, but if you are planning on doing that anyway it’s not such a big loss. There is a battery life indicator beneath the power button, and the charge to runtime ratio is decent enough. Overall, if you find yourself appreciating more practical looking shavers but still want great results, you might find just what you’re looking for with the shaver. 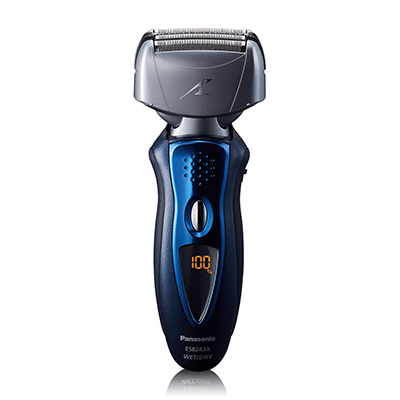 If you’re looking for the utmost quality and price is no object, consider the Panasonic Arc5 Electric Razor. It’s a personal, effective tool that utilizes five different blades that can cut over 70,000 times per minute. The pivoting head for the Arc5 is truly flexible and has no issue following the contours of your jaw and keeping up with all the corners of your unique bone structure. The shaver is also equipped with a density sensor that can adjust the foil’s death and height to make sure that your shave is always super close or is cut at the perfect length. The ARC foil is specifically designed to handle all lengths and thicknesses of beard and can fit no matter what direction you’re driving the shaver at any one time. It’s also equipped with a great LED display beneath the power button that can indicate your battery life, which is very acceptable, and whether it needs to be recharged. 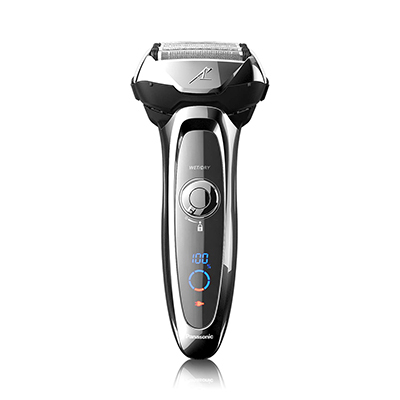 The shaver is equipped with a great pop-up trimmer just like the other Panasonic products and it’s totally waterproof. This essentially takes all of the great innovations we saw from previous Panasonic shavers and upgrades them to their highest possible quality. The shaver is a little pricey, but given the overall value you get with the purchase we think it’s well worth every dollar. 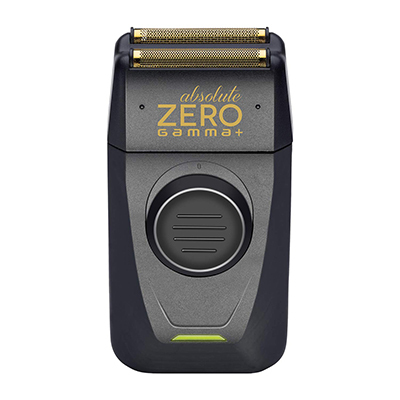 If you’re looking for a foil shaver that’s perfect for trimming on the go or assisting you with your fast-paced lifestyle, the Gamma+ Absolute Zero Cordless Foil Shaver might be perfect for you. It’s extremely lightweight and compact and is nonetheless easy to handle despite its small size. The shaver makes use of an excellent foil that traps hairs and allows them to be cut with the utmost precision and close proximity. The battery life of the shaver is extremely generous, as you only need to charge for 30 minutes to get the full two hours of life. This allows you to quickly charge and then take it with you for at least several full shaving sessions without needing to charge again. The shaver can be charged with a traditional cord but it also has a USB port for versatile charging solutions. This can be particularly handy if you need to charge it in an airport or someplace similar. 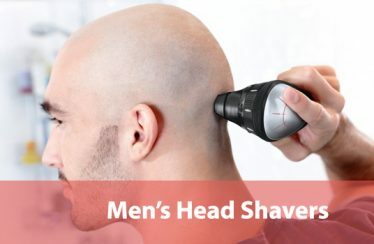 This shaver comes with a retractable trimmer as well, which is a functionality that you usually only see with larger and more expensive shavers. As far as a travel device does, this is a little pricey but it acts well as the premium version of a portable travel shaver. It’s a great pick if you want to balance portability and utmost quality. Here we have another premium quality shaver, this time from Braun. 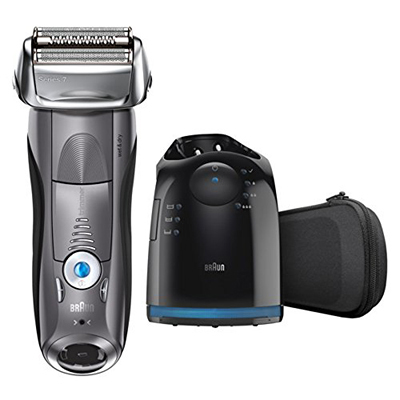 The Braun Series 7 7865cc Electric Shaver has an absolutely phenomenal shaving head, that utilizes a foil system in tandem with blades and its ultra-flexible head that can easily follow all of the contours of your jaw. These three systems, along with the specialized, quiet motor, combined to give some of the best shaves we’ve ever seen. The shaver has five different modes which you can activate depending on your needs. You can also experiment with the shaving modes to discover which works best for maintaining the optimal beard length and condition. All of the moving pieces in the shaver head make it so that you generally only have to move across one section of your jaw once to get the job done. It’s supplemented by an ergonomic handle that’s easy to grip even while it’s wet; it’s totally waterproof, too. The shaver’s buttons are low and away from where the thumb naturally rests, so you won’t accidentally switch modes with any regularity. The purchase is a little hefty, but it’s very worthwhile when you consider that you also get a clean and charge station that maintains the health and battery life span of the shaver. The cleaning station does need to be refilled with fresh cleaning liquid every once in a while, but it’s an ideal way to maintain the shavers performance over many years. A travel case is also included should you decide to take this shaver with you want a business trip. The BriGenius Men’s Electric Foil Shaver is much more affordable than any of the premium models, but it does an excellent job regardless and provides great bang for your buck. It utilizes three blades with a flexible foil system that is very adept at capturing hairs of variable lengths all across your jaw. Once captured, the blades are able to cut easily and quickly. This shaver also comes with a pop-up trimmer and the battery, which has a generous lifetime, will keep its output consistently during its entire charge, even at the end. All of this functionality for such a reasonable price make it a great budget pick if you need something steady and reliable that doesn’t also break your bank. The shaver isn’t the most ergonomic model you see, but it’s not too bulky to use either. It’s just not going to be the most comfortable tool for lengthy shaving sessions. In LED screen at the bottom can clue you into your current battery life. 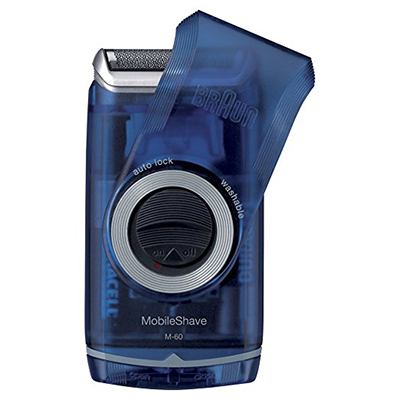 The Braun Pocket Mobile Electric Foil Shaver is another travel pick that is also extremely affordable in which provides great results for anyone needing a solid foil shave. This shaver is very lightweight and compact, being small enough to fit into most bags or pockets. It’s powered by batteries, too, and this can be either a good or bad thing depending on your needs. On the one hand, you never have to be tied to a charger. But on the other, you’ll have to replace the AA batteries pretty consistently. The foils are relatively low but do a pretty good job of capturing hair for easy cutting, especially when you take the total size of the shaver into consideration. This affordable device utilizes a twist cap that you can slide over the top to protect the foils when they’re not in use. It’s a perfect solution if you need the absolute most affordable foil shaver you can find or if you want a quick fix for those moments when you’re on the road and forgot to give yourself a quick trim. Before you start using your fancy new shaver, read these quick, helpful tips to make sure that your first shave is a total success. Heat/Wet Your Face Beforehand: Once again, shaving in the shower is always superior to shaving dry. If your shaver isn’t waterproof, you can accomplish this same effect of opening your pores by shaving directly after a shower or using a hot and wet washcloth immediately prior to your shaving session. Use Cream! 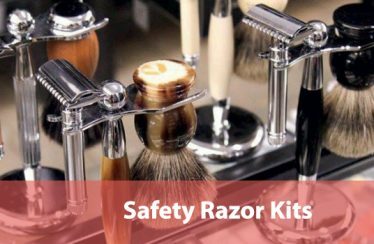 : This is particularly important if you’re going for a clean shave. Shaving cream can protect your skin and make your shaver more effective as it scrapes hair off your face. Don’t neglect shaving cream just because you think that the shavers motor can take care of all the work. With some shavers, their blades are so sharp that failing to use shaving cream can result in razor burn. Shave Against Your Hair: When shaving, make sure to move the shaver against the direction that your hair naturally wants to lean towards. This will force your hair both into the foils more effectively and force it to stand up straighter, resulting in a cut that is closer to each individual hair root. 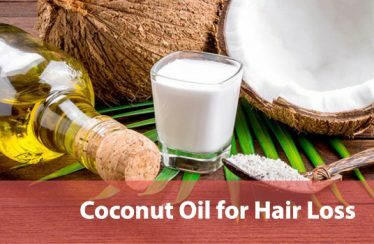 Basically, this will make your shave last longer because the hair will have to grow farther to reach its original length. Keep the Shaver Plugged In: Even if your shaver battery is of the greatest, you can get around that flaw by keeping it plugged in whenever it’s not in use. There’s no negative aspect to using the shaver and then immediately plugging it in once you cleaned it. If you do this, you’ll never run into an unfortunate circumstance when you need to shave for your beloved device is simply out of power. Hopefully, this guide has provided you with everything you need to get the perfect foil shaver. These are excellent products that are leading the way in the evolving electric shaver market. Whether it’s a totally clean shave or precise beard maintenance, foil shavers are a great solution that we are sure you’ll enjoy.